As our planet orbits the sun, a measurable vibration known as the Ohm (Om) frequency permeates every living organism. 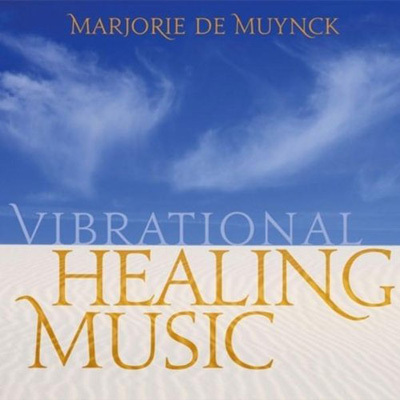 On Vibrational Healing Music, composer Marjorie de Muynck offers you a therapeutic healing journey in her signature tuning of Ohm, known for its ability to soothe, balance, and rejuvenate. “The body, in its natural intelligence, is able to assimilate Ohm and all its beautiful overtones, and utilize these properties on a vibratory level,” explains Marjorie. Here, she organically combines ambient sounds of the Earth from a surprising array of sources, including the lovely syncopated rhythms of crickets and cicadas. You will find yourself transported as your vibrational being harmonizes with the life-affirming frequencies of the Earth. Note: We recommend listening to Vibrational Healing Music while using any of the Ohm Tuning Fork sets to amplify the restorative experience that this album offers. Please see our Tuning Forks section.